The start to the school year continues to be very positive and I have heard so many wonderful comments from communities members and parents who are very pleased with the experiences our students are receiving. Thank you for your support and encouragement. I realize the online registration was quite challenging this year. There were a few changes that were made that were supposed to have been helpful to families and the district but turned out to be frustrating to many of you. Administrators are meeting next week to begin discussing changes to be made for next year. Hopefully, we will get much of the issues resolved! The Indiana Department of Education continues to tell us the spring 2013 ISTEP scores will be out at the end of this month. We will see....When this happens, you will receive additional information on accessing your child's information online. As you may have read in the newspaper, the State will not be releasing school grades with ISTEP scores. Through a review of Dr. Bennett's emails, it was determined that at least one Charter school in the state had their school grade altered to reflect a better grade than their student achievement data earned. In addition, school officials, parents, legislators, and State Superintendent Glenda Ritz continue to criticize the grading formula/process and are now tweaking the system to be more fair of the elements that affect a school. I will keep you posted. During this week's School Board meeting, Brian Lietch will be presenting the 2014 proposed budget. If you are interested in learning more about the budget, feel free to attend the meeting. As a brief refresher: the General fund is 100 percent controlled by the state and is based on our enrollment. This year, there are two count days and our funding will change twice during the school year based on our enrollment. The first count day is September 13 and this will determine our funding from July - December of 2013. The second count day is in February. Whatever our enrollment is on that day, our funding can be reduced or increased and affects our January - June 2014 funding. You can see that the count days fall after the funding period has begun which means, if the enrollment declines from what was "projected" in July or what is actual in February, the state then dramatically reduces what they send us or we have to "pay back" funds. The other funds are Capital Projects, Transportation, Bus Replacement, Pension Fund, and Debt Services and these funds are supported through property taxes. You will hear talk about the "tax levy." The tax levy is the number of dollars that we need to support the budget (excluding general fund). The dollars are collected based on an estimated assessed value of the ENSC district properties. The estimated assessed valuation x a tax rate = the levy. 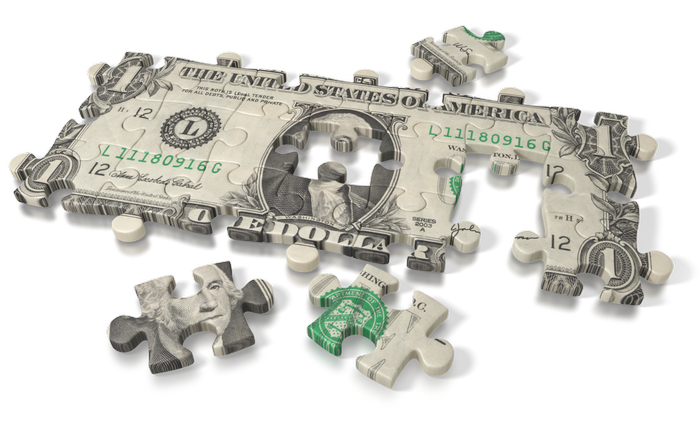 When the budget is proposed, the estimated assessed valuation and tax levy are the knowns. The unknown is the tax rate. Easy math problem. How do you calculate the tax rate? When that rate is determined, a property owner (business and residential) than pays that rate times each $100 of assessed valuation. In addition to the budget, the ENHS students will be providing the Board with an overview of their experiences with the Dekko Explore summer program. You are always welcome to attend and it would be nice to have a few people in the audience. Did you know.....Each ENSC building has access to a technology coach. These coaches are available to support and assist staff members as we continue to increase our level of technology use in the classroom. It is their responsibility to research ways to integrate technology into the classroom, train staff in using technology in the classroom, work with students in the appropriate and safe ways to use technology, and stay current with technology to pass along to staff. Have you ever listened to the radio in the morning and heard the DJ say "today is national ??? day." For example: September 18 is National Respect day; September 22 is Ice Cream Cone day, and September 27 is Hug a Vegetarian Day. Find more holidays at this website: http://www.brownielocks.com/month2.html. Another site is www.checkiday.com. Avilla Elementary would like to salute Super Hero Robin Peters! Robin has been a superhero with East Noble Schools since 1999. During that time she has served as special education resource teacher in various assignments with stops at Rome City and Avilla. She collaborates with staff to ensure the individual goals and needs of all of her students are met and success is found. Her positive working relationships with parents add to the success that her students experience. Additionally, she is the leader of Avilla’s RTI efforts in helping students move forward towards increased achievement. Robin’s professionalism and positive attitude is also greatly appreciated. Her open willingness to always pitch in and lend a hand is appreciated by all. Robin, thanks so much for all that you do for the students of Avilla Elementary school. Always feel free to contact me with any questions, concerns, and comments. You may follow me at my Twitter accounts - @ALinsonEN (professional) or @ENobleSchCorp (school and district information). In addition, these notes and other information can be found at AnnLinson.com or by selecting the superintendent message on the East Noble School Corporation website. The 2013-2014 school year is proving to be filled with citizenship! 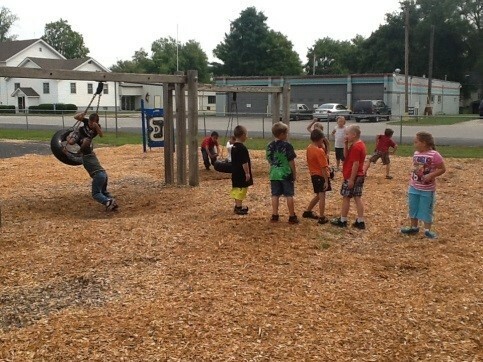 Students have learned new recess procedures this year. It has reduced the number of playground issues drastically and the students have learned that it is fun to show citizenship on the playground. 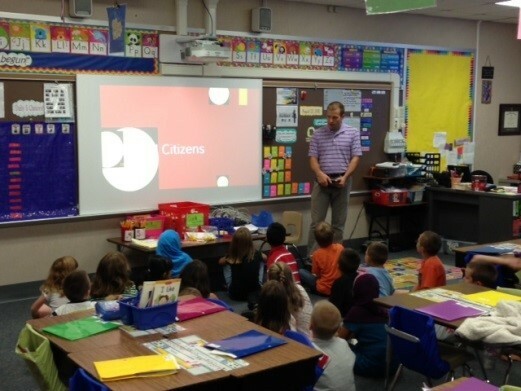 Thanks to Mr. Yoder our students are learning to be digital citizens. He has spent many hours putting together wonderful resources so we can easily teach Rome City students our devices are tools not toys. He has also helped many 5th and 6th graders learn how to navigate on their computers thus making them fluent users and preparing them to learn. Thanks Mr. Yoder! Technology at Rome City is a tremendous form of learning engagement for our students. Students in Mrs. Opper’s 2nd grade class love learning math facts on their iPads. Math Fact Ninja helps them set personal goals to continue to master math facts at their personal level. The kindergarteners at North Side Elementary are off to a great start! During the first 8 days of school the kindergarteners have had many new school experiences and fun making new friends. Kindergarteners are learning classroom rules and procedures. During Daily 5, students are tracking their stamina time during read to self. In math, students are learning about the days of the week, months of the year, the daily weather, counting, and keeping tracking of how many days we have been in school. During writing time in Mrs. Hamlin’s class, students learned pictures tell a story and the students made a picture about something they are good at doing. 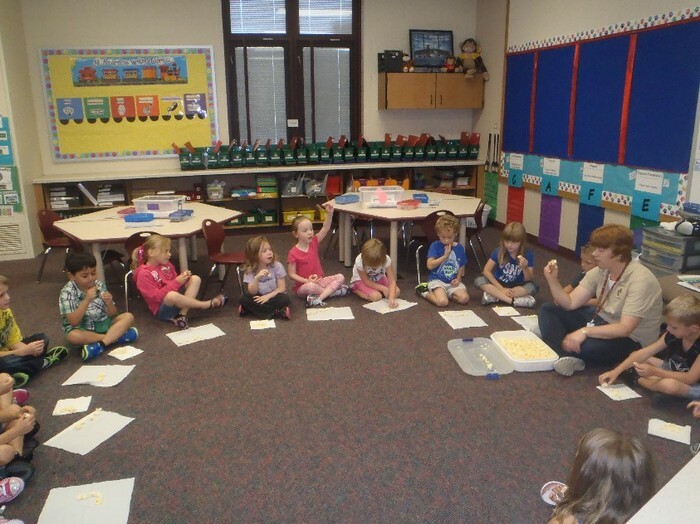 In Miss Zollars’s class during math time students used popcorn to learn how to count down to zero from the number ten. It is a great start to the year for the kindergarteners with many more experiences to come for each of them! This week the students of North Side had the opportunity to listen to a program which encouraged them to understand and value the differences in others and not engage in bullying behaviors. Students listened as Todd shared his own personal stories with them growing up after losing his arm to cancer and how he learned to value differences in others and realized the importance of sharing his message to students of today. Our first full week of school has been a good one at the ALC. Two more credits have been earned and we have several students on the cusp of earning additional credits. Our building is filling up, enrollment is near capacity and it is exciting to see the number of students progressing toward graduation. The Knight’s Kloset continues to be an invaluable resource to the community as we have had several families through the facility again this week. Thanks to all who have contributed their items and/or time to support the Knights Kloset!!! As we enter into a new school year with the kindergarten, we are working on rules and procedures within our building. Kindergarteners are learning the routines and expectations expected of South Side students. We are focusing on Character Counts and Class Dojo. 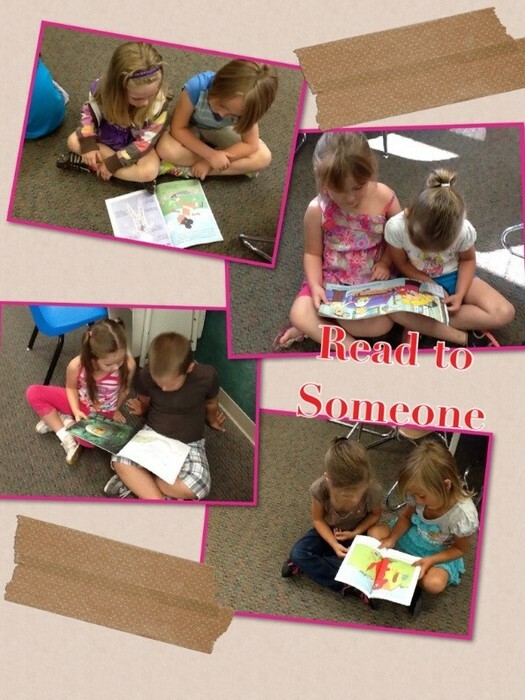 We launched Daily 5 with Read-to-Self, and we are building our stamina. The kindergarteners are reading for 6 minutes! The classes are working on listening for rhyming words too. We are making new friends and learning new songs to get to know one another. We look forward to an exciting year! A very busy week this week at Avilla. We opened the week Monday morning with a convocation about bullying with Todd Waites from Columbus, Ohio. Mr. Waites did a great job of telling his story and encouraging OUR students to not allow bullying to happen in OUR school. He was able to tell his story in a way that OUR kindergarten through 6th graders were able to understand his message and the importance of it. He told OUR students to dream big and work hard to achieve those dreams. Mr. Ogle spent a day this week discussing the importance of proper behavior on the school bus with OUR students. He discussed expectations that all students must follow on any East Noble bus and he discussed an upcoming bus evacuation practice that will be happening in the near future. Mr. Ogle also was able to see all the students from each grade level and start to introduce himself. We ended the week with OUR annual Fundraiser Kick-off! Students will once again be selling items to help raise money to be spent on them! All students will benefit from the sale in many, many ways! One lucky student will be able to earn a trip to Cedar Point or Kalahari for the family! A HUGE shout out from the entire staff here at Avilla goes to the custodian staff! Debbie Boone, Marsha Wooten and Dennis McDonald did a tremendous job getting OUR school ready for another great year for our students and staff. I am sure they all welcomed a cooler summer than last year while they were preparing the building! 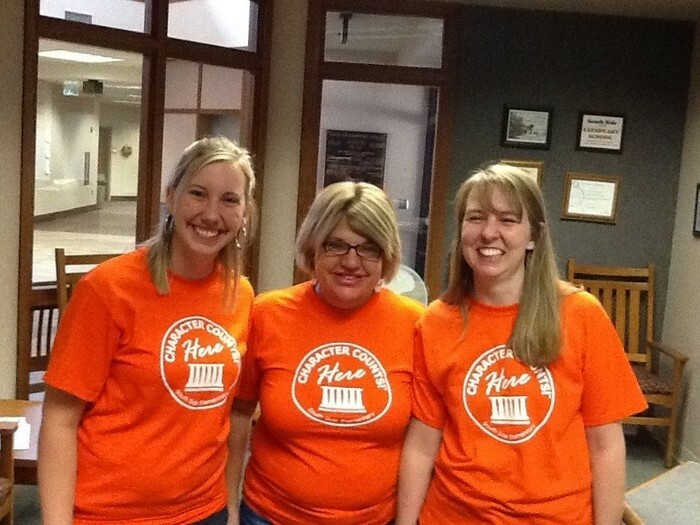 Thank you, all three of you, for the outstanding job you do each and every day for OUR kids. 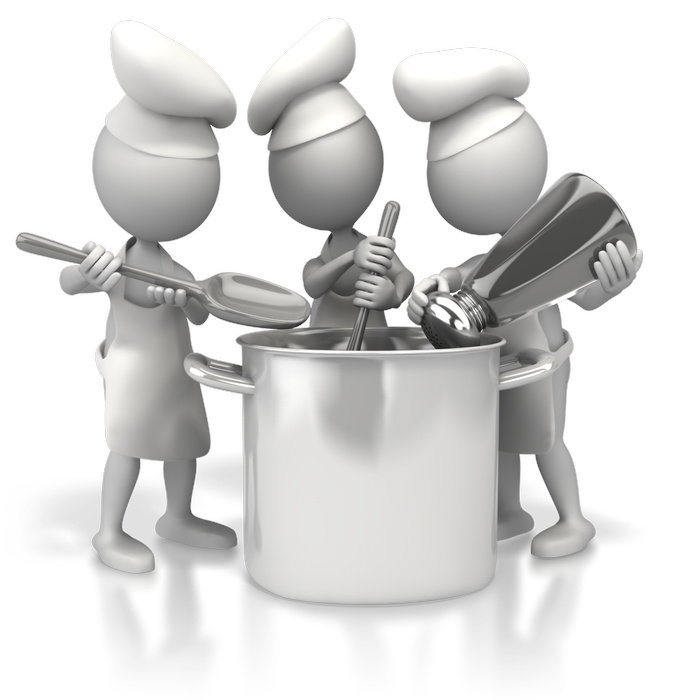 The FLS staff has been working hard to fulfill their goal of opening a kitchen this year. The kitchen building room 330 is complete. This trimester Mrs. Bolinger is working diligently with our students on learning safety, hygiene, serving skills and of course great cooking. Our current timeline is to open up the restaurant second trimester. We are planning on having an open house at the end of this trimester. Keep an eye out for your invitation. ENHS would like to wecome new teachers Michael Campbell to the special education staff and Diane Neu as a Special Education resource room assistnant. 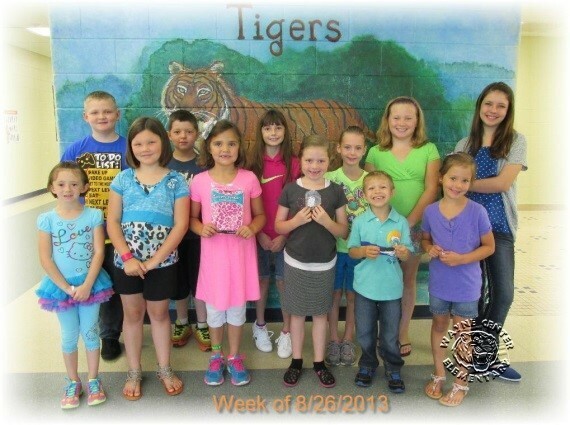 Each week students are nominated by their classroom teacher for Student of the Week. The goal of this student recognition program is to honor all students for demonstrating the Pillars of Character. Students can be nominated for a variety of reasons including showing responsibility in completing work, showing caring by helping a new student get acclimated to our school, or being respectful to classmates and adults. 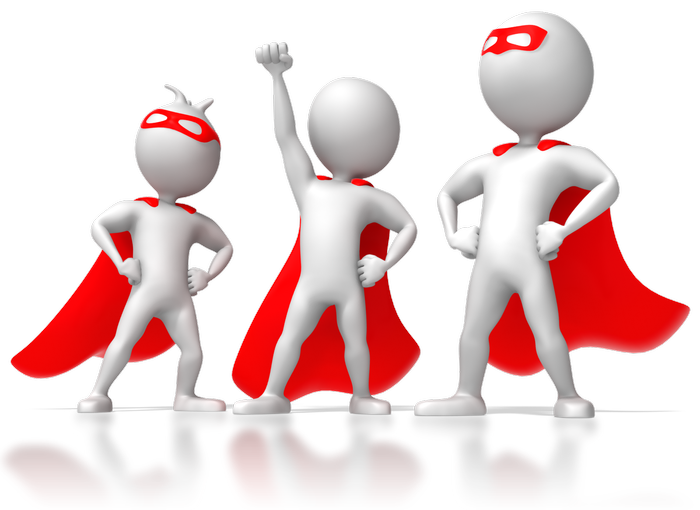 Each student in our school is nominated for Student of the Week by the end of the school year. Students are recognized with a certificate that is hung in our main hallway and a spirit award prize as well as through postings on our school website and in the school newsletter. The first full week of school flew by. Students continued to navigate the building and locate the new office. Many students were seen sporting a new computer bag and taking cold drinks of water. Middle school students are gearing up several upcoming events. One of these events will be "Duct Tape Deming" (stay tuned for pictures in the next few weeks). Students will be purchasing duct tape strips for $1 and taping Mr. Deming to the wall during lunch. During this they will be writing anti-bullying words on the tape. We will also have an anti-bullying presentation on Wednesday at the high school. Some other upcoming events are: an 8thgrade field trip, Volleyball teams are set, football is tackling games, and cross country runners are trying to beat the heat. Here’s to another great week at ENMS!